I was able to implement many things from the degree, during my placement. To secure my placement, I used the Employability team to help me draft up a CV and write a cover letter. My placement was a little different to the normal length of a placement as I completed half a year studying abroad and half a year working in Amsterdam. My Amsterdam internship was sourced through a Dutch friend whom I met studying abroad. I had applied to many overseas placements, and with Aggregate Industries, I participated in an online interview in order to secure the role. As I was overseas and Aggregate is a relatively small company, I only had one online interview with the managers responsible for recruiting my role, and because of this the recruitment process was less complicated than I had expected. I had heard feedback from other students about their drawn out and in-depth interview stages. At the beginning of my placement, I was contacted by a member of the Employability team, who asked me questions about the role I was fulfilling, and wanted to ensure that it was relevant to my degree and that I was settling in ok. I felt supported knowing that the university was at hand if I needed them and that the Employability team were there for advice. My most enjoyable aspect of my placement was working and living in a multi-cultural environment, with people from across the globe in one of the most diverse cities in Europe. 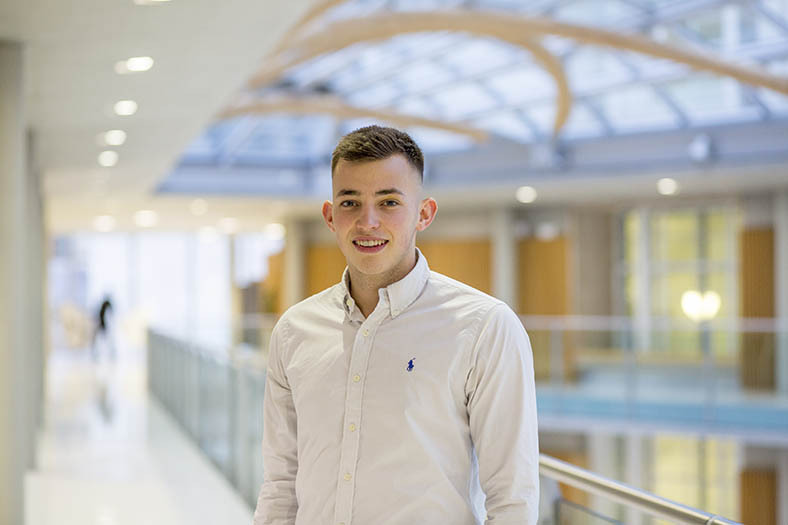 I was also able to implement many things from my degree, during my work placement but mainly my digital marketing module, which helped with Google Adwords and setting up Facebook advertising. My advice for prospective students who wish to apply for a placement year would be to apply early, and tailor your cover letter to the individual company. Consider all of your options including completing three smaller internships, rather than one big one as you gain varied experience."